Kick down the pedestal and drag your martial art down into the mud! 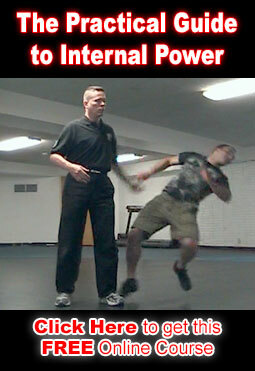 The Internal Martial Arts are human. They were not handed down from on high. They did not simply materialize, whole and complete, out of the ether. They did not appear in some vision like a Matrix style download from god. They were created to be USED by people. They were created to be LEARNED by people. You are creating an excuse for inadequacy. You are accepting failure. …the student cannot be blamed for failing to train hard enough. …failing to study hard enough. …failing to find the best teachers. That all sounds a little too convenient for my taste. The martial arts are not meant to be pondered and theorized and placed on a pedestal. They are meant to be taught, learned and USED. Come kick down the pedestal and drag your martial art down into the mud where it belongs. Come join us in the Internal Combat Arts Course.